Green. Can you imagine a world without it? Fresh. Soothing. And alive year round here in SC. It warms my space and makes my heart happy. As I venture out I see green sprawling branches and vines that extend towards the sky. I see green beneath my feet in the newly sprouting fiddleheads. I see green in the scurrying lizards and the bright little tree frogs. This year I've decided to try my hand at a little gardening. I put together this cute little herb container and little man just planted a few vegetables in the raised bed hubs and him assembled together. (More of those pics to come...) I would love to live a more green life, so we're taking baby steps. Thanks so much for stopping by Project Alicia! Your continued support really does mean the world to me. Can't wait to see what's growing in your part of the world! Come link up those green pics! Also, make sure to swing by Live and Love out Loud where Kristi has some wonderful tips on white balance. A special thanks to our other sponsors (see buttons to the right): Small Bird Studio, Barefoot Five, Dagmar Bleasdale, Mama Dweeb, Photography by Kent Weakley, Veronica the Blog and Handmade con Amour. Their advertising dollars will be spent on some fabulous prizes along with our other awesome sponsor contributions. Make sure to stop back next Friday, May 11th, for a chance to win some amazing prizes! You won't want to miss this finale! And if you haven't already seen my DIY: How to Fake Polaroids Post... click over. An easy, inexpensive, fun way to transform your photos without a polaroid camera! Take a peek. Oh how I love sinking my hands in the soil- that looks great Lish! Love the chalkboard paint pots! What a great idea--especially since I never plant the same things each year. OH that frog! What a great capture! Lish, I love your sweet little herb garden! I've been trying to bring a little bit of green to my city porch... but as of yet nothing has grown (the seeds Mikey planted haven't grown... but the dead stick he put in the same pot has sprung roots, go figure!). Also love that frog! LOVE the frog photo..so does my son :) So cute! Gorgeous photos! The frog shot is great! I always wonder how people get such great shots of scurry little creatures that don't like to sit still (like children!). You never disappoint with the frogs, my friend. :) Beautiful shots! That frog picture is great! I'll add my appreciation for the frog photo. Maybe your herb garden photo will inspire me to plant a few herbs around here. Thanks for hosting! omigosh, I LOVE that shot of that frog! So cute! What great greens you have! Amazing photos as always! But, Oh my goodness I LOVE your frog photo! lol. You take the best froggy pics! LOVEly green captures Alicia! Oh my! That frog is so cute! You have some great green shots! 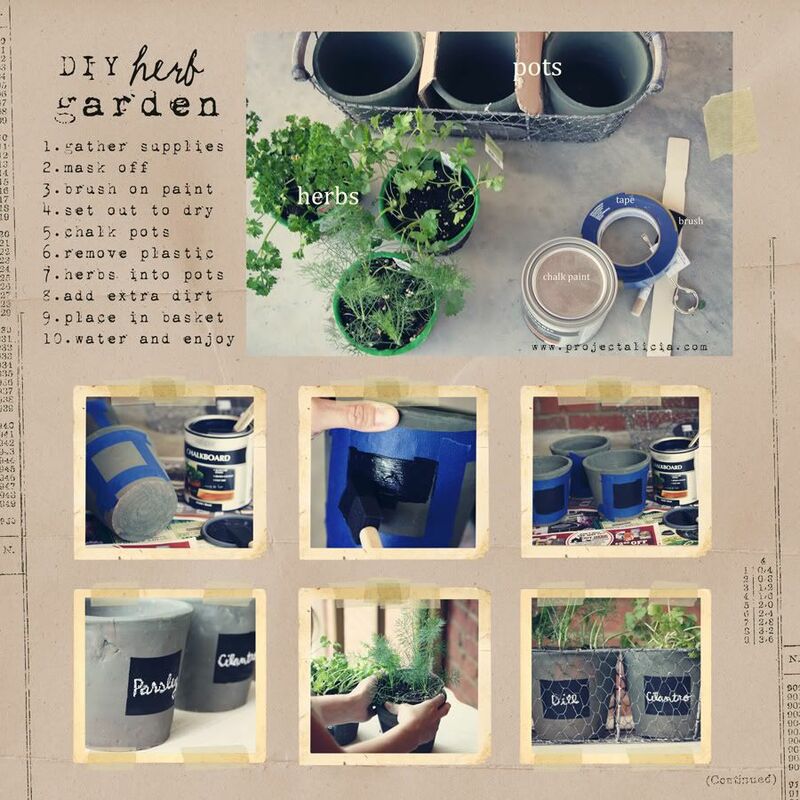 I don't have much of a green thumb, but I'm loving your herb garden idea. You made it look so easy! Such beautiful shots. Love the froggy! i agree with Sherri! its always so wonderful to welcome green back after the dull drab winters here!! it's so pleasing to the eyes!! Your green captures are awesome!! 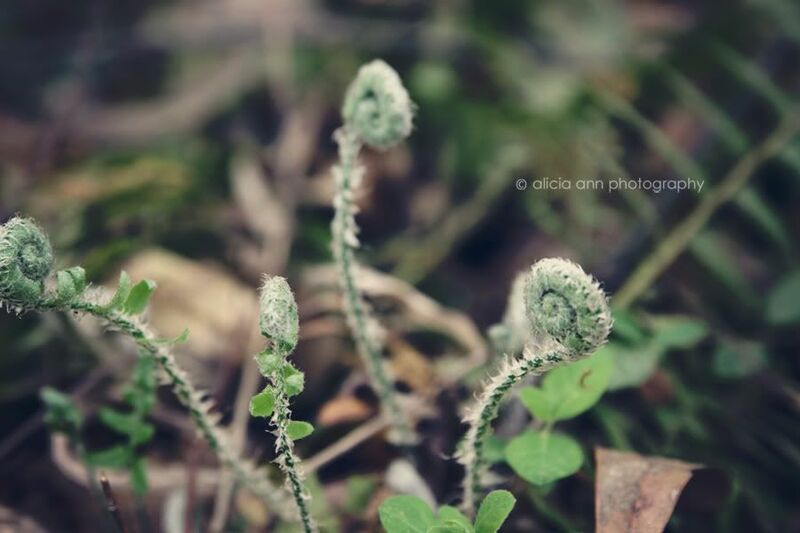 I just heard for the very first time about fiddleheads last year ... I believe you can eat them? Is that correct? 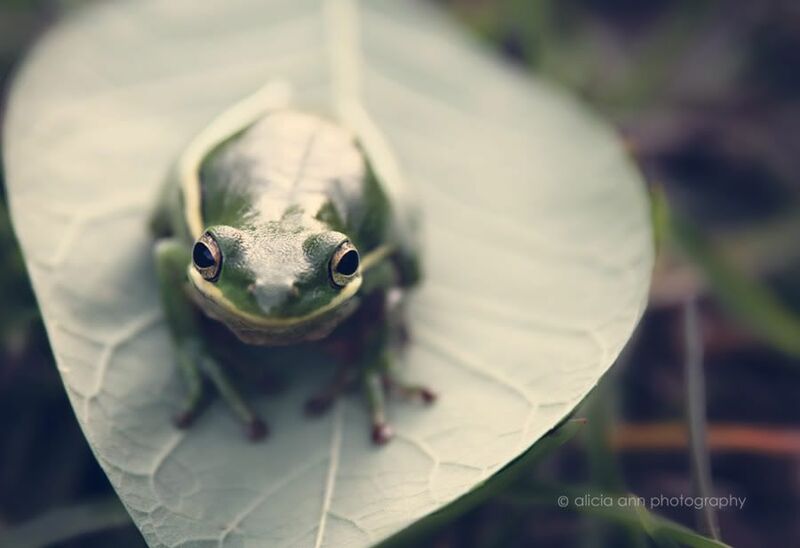 That photo of the tree frog is just AWESOME!! It looks like he's just staring into the camera!! Love your herb garden too!! Such beautiful shots! Love the frog! The frog is amazing, great shot! 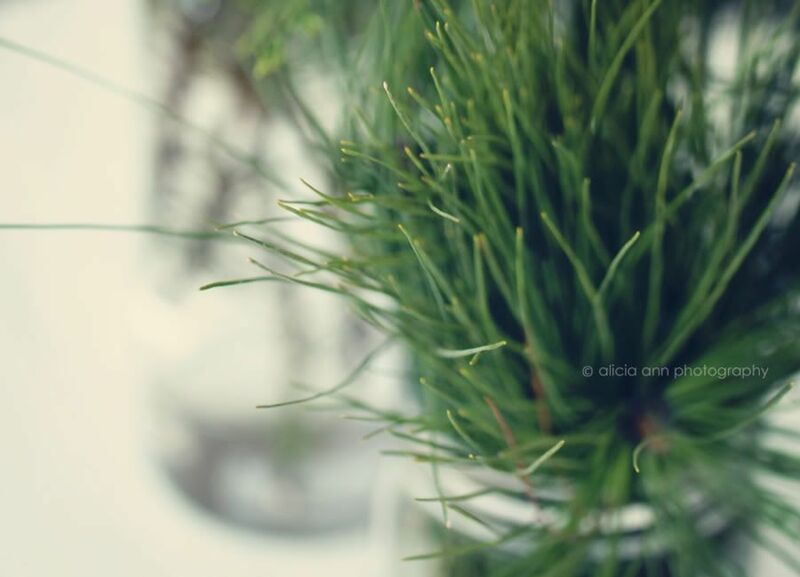 Love the green in each of your photos! I have to say the photo of the frog is my favorite. Beautiful photos. Good for you, getting into gardening. Love your ideas! Love the potted herbs. I've been thinking about redoing my herbs and this is just too perfect. I'm going to have to go to Home Depot and get some supplies. Good thing my girls have a chalk board, so plenty of chalk here. I linked up today for the first time. :)Have a wonderful weekend. Enjoyed reading all about your polaroids Alicia and seeing how you've started a little herb garden. Love how you set out your project board aswell. 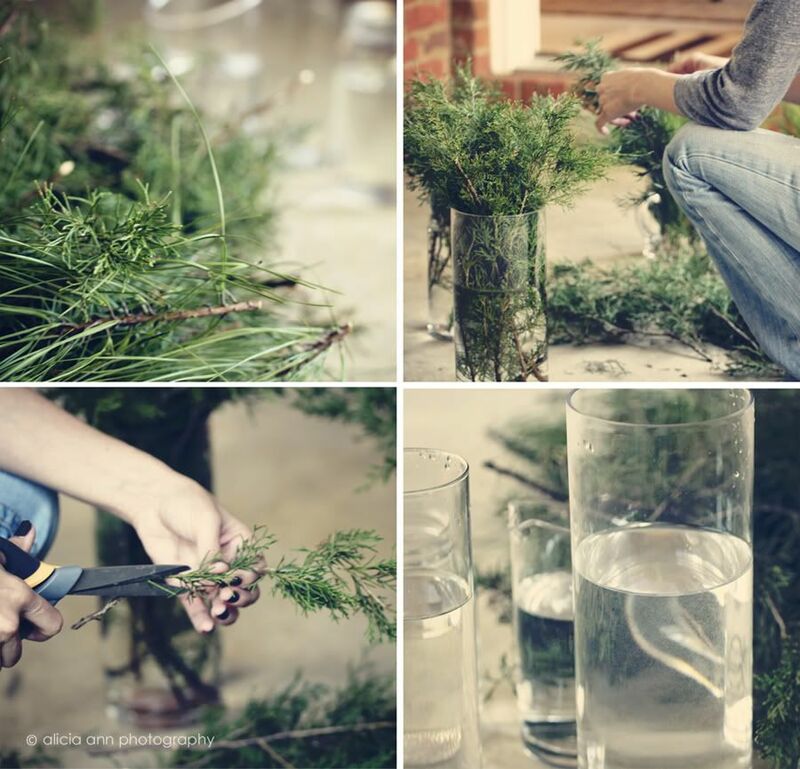 Love the DIY her garden too! This post is so dedicated. I love gardening. Blogger Broadcast WW LINKY Have a question or two? Post your questions on Thursday Two Questions Meme, for more details click link: TTQ Details. Oh what fun I had with this challenge. I wanted to show off my garden after the rain as everything looks so lush and green. what an awsoem blogs, really loved viewing it.